Situated right off of Highway 77, just minutes from I-35 the townhomes at Brentwood Place by HISTORYMAKER Homes will perfectly situate residents to take advantage of all that the city of Denton, Texas has to offer. Affectionately nicknamed, Little D and sometimes referred to as Little Austin, this college town 35 miles north of Dallas is anything but sleepy. Known as a hub for arts and music, and home to two major universities, Denton has a diverse blend of youthful energy, cutting-edge progress and established history. With everything from museums, nightlife and horse ranches to state-of-the-art medical facilities and businesses, it has all the major areas of interest and employment covered. With a thriving economy, good schools and countless things to do, Denton is attracting more homeowners all the time. Located right around the corner from the lively Rayzor Ranch Market Place, Brentwood Place offers first-time home buyers an excellent opportunity to own in this highly desirable area while still getting more home for their money. 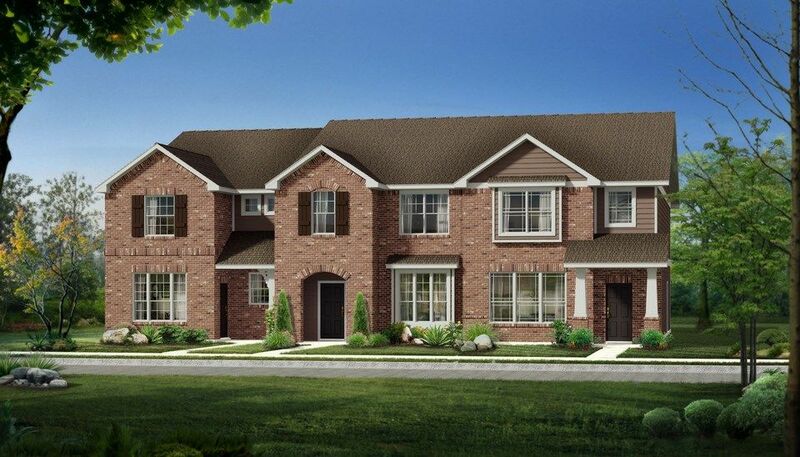 These townhomes are ideal for singles, couples and young families looking to reap the benefits of ownership while enjoying the lower cost of upkeep provided by an HOA. Brentwood Place is the best of both worlds featuring fresh functional floor plans, quality craftsmanship, and timeless design at a price point only HISTORYMAKER Homes can offer — all within a townhome community.